Formulated with camellia oil, this remarkable Precious Cleansing Oil removes the most resistant types of makeup and excels in eye and lip makeup removal. Since it won’t leave an oily film, this cleansing oil can be used on any type of skin, even the oiliest, and rinses off very easily. A cultured pearl lies at the bottom of the bottle, waiting to be worn as a bracelet on your wrist. To wear your pearls, we recommend using a waxed cotton thread or any other type of fine wire. You can easily thread the pearls and wear them any way you like! Camellia flower oil: softening, nourishing and antioxidant. Product formulated with oil for optimal, non-drying results. For all women who want to fully remove the most resistant and waterproof types of make-up. For all skin types including oily skin. 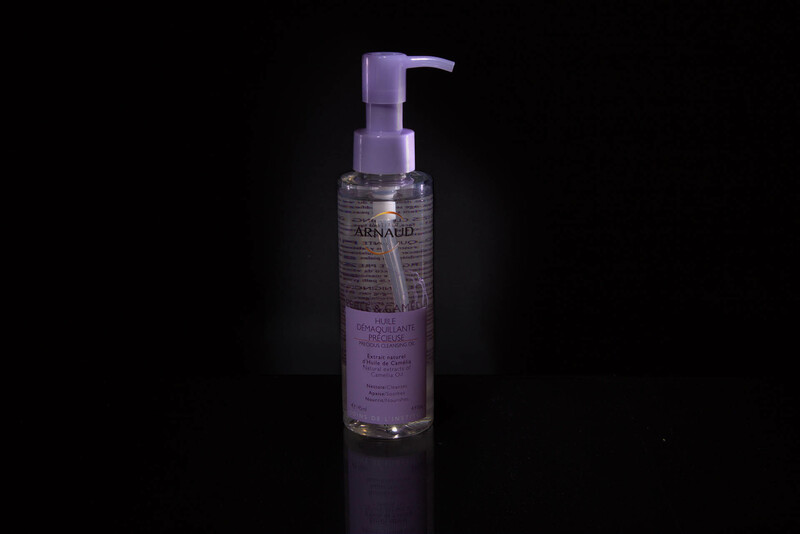 Apply PEARL & CAMELIA Precious Cleansing Oil with fingertips to your dry face. Massage in and rinse with warm water. This oil is non-comedogenic because it can be rinsed off with plain water; its formula was designed so that the oil “breaks apart” on contact with water, ensuring that no oily film remains on skin. Highly effective makeup remover formula.